It started as an ugly day on Wall Street, but the day ended with some Cinco de Mayo cheer. The Dow closed in the green Monday -- up 0.11% -- after dropping 120 points early in the trading session. 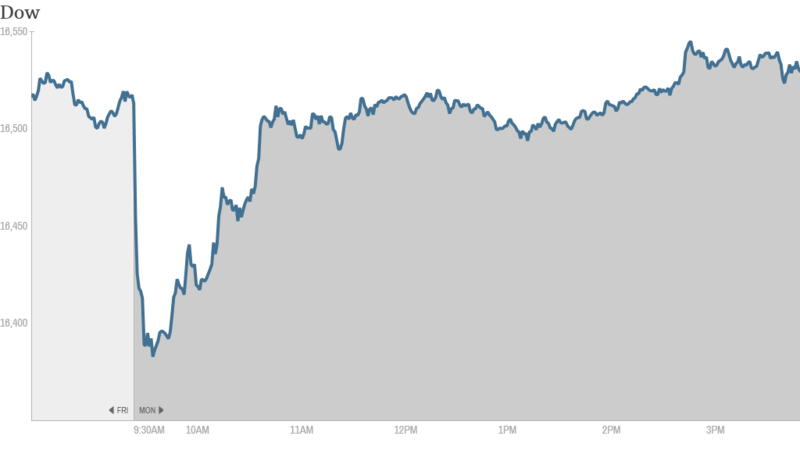 The S&P 500 and Nasdaq also recovered from early losses, and ended up slightly for the day. The Dow hit an all-time high last week, and the S&P 500 is close to new heights. The latest reading from the CNNMoney Fear & Greed Index suggests investors are very fearful. 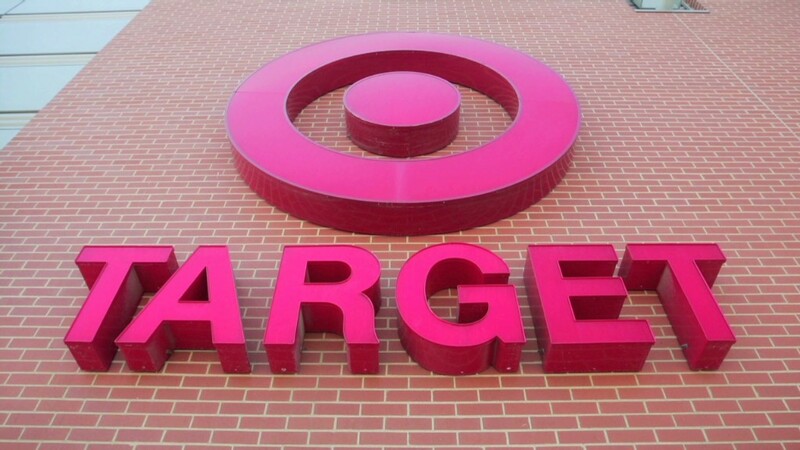 The early pessimism might have been drive by Target's (TGT) announcement Monday that Gregg Steinhafel, the chairman and CEO of Target during the retailer's massive breach of customer credit and debit card data last year, has left the company effective immediately. Chief Financial Officer John Mulligan will serve as interim CEO. Shares of the retailer slumped over 3% Monday. Analyst Brian Sozzi of Belus Capital Advisors thought Target didn't move fast enough in removing Steinhafel. "In truth, Mr. Steinhafel should have been pushed aside coming into the key spring selling season and before starting to set strategies for the upcoming holiday season of 2014," he said in a morning note. One StockTwits trader pondered if Steinhafel was truly to blame. "$TGT Is the CEO just the scapegoat for the cybersecurity problem...let's see if more problems surface," said Rayneman. Another StockTwits trader was cautiously optimistic on the stock. "I'm a Target fan but they need to do more before I can say it's a buy. Today's news is good, but more is needed. $TGT," said EddyElfenbein. And Apple (AAPL) is on a roll. Shares of the tech giant closed above $600 Monday for the first time since October 2012. In its latest earnings report, the company announced a seven-to-one stock split, which will take effect on June 9th and make the price of a single share significantly cheaper. Earnings season is winding down, but a few more quarterly releases remain on the docket this week. Tyson Foods (TSN) shares dove almost 10% after the company reported first quarter earnings that fell short of analyst estimates. Pfizer (PFE) sank after the pharmaceutical giant reported slightly better than expected earnings, but it's clear the company is struggling in its traditional drug business. That might explain why Pfizer is so keen to buy British pharmaceutical company AstraZeneca (AZN) despite that company's rejection of Pfizer's most recent offer of $106 billion on Friday. JP Morgan (JPBEX) shares dipped about 2.5% Monday after the nation's largest bank by assets said Friday that it expects a 20% drop in trading revenue in the second quarter. Like many of its rivals, the Wall Street behemoth has seen a sharp slowdown in its bonds, currencies, and commodities units as low interest rates and soft demand from emerging markets has put a damper on those previously lucrative businesses. On a more positive note, shares of King Digital (KING), the maker of the hit online game Candy Crush, surged 8.5% Monday after Wall Street analysts began rating the stock. Many give it "buy" recommendations. But King has been criticized as a one hit wonder, and StockTwits trader MackMcEnroe seemed to fall into that camp of thinking. "$KING is Rome before the fall," he said. But Mbrillo1 agreed with the positive ratings, and isn't a fan of the King-bashing. "$KING Stop this 'One trick pony' sentiment. Candy Crush has plenty of room to run," he said. Salesforce.com (CRM)also got a boost after receiving a favorable rating from an analyst at Deutsche Bank. Chipotle (CMG) was one of the top gainers in the S&P 500 Monday after an analyst at Raymond James upgraded the rating for the stock. Disney (DIS) also traded higher ahead of its quarterly results report that's due out tomorrow. Whole Foods (WFM), on the other hand, was down more than 2.5% today ahead of its Tuesday earnings report. European markets finished lower, as worries over growing tensions and lawlessness in Ukraine may be causing investors some unease. Germany, Russia's biggest European trading partner, saw its Dax index regain some lost ground after falling 1% earlier in the day. Asian markets ended the day with mixed results, as monthly manufacturing data from China showed contraction in the world's second largest economy. Some international markets were closed Monday, including exchanges in London, Seoul and Tokyo.